One night back in ’09, we were sitting around a campfire at Picnic Point and a friend suggested we bike out to Blue Mound State Park and camp overnight. He wasn’t getting any takers from us. Sure, we had made a few trips out of Madison on our classic Schwinn 3-speeds, but never as far as the Dane County border. A trip past the county line seemed epic, but loaded down with camping gear, a foolish undertaking. My friend did end up talking me into a test run on the Military Ridge State Trail to Mt. Horeb and back with the faster bike I had recently bought. That wasn’t so bad, so I joined him on a trip to Governor Dodge State Park at the end of the Military Ridge Trail. A first trip was the best lesson possible. Alyson got a touring bike shortly thereafter to supplement her city bike as well. 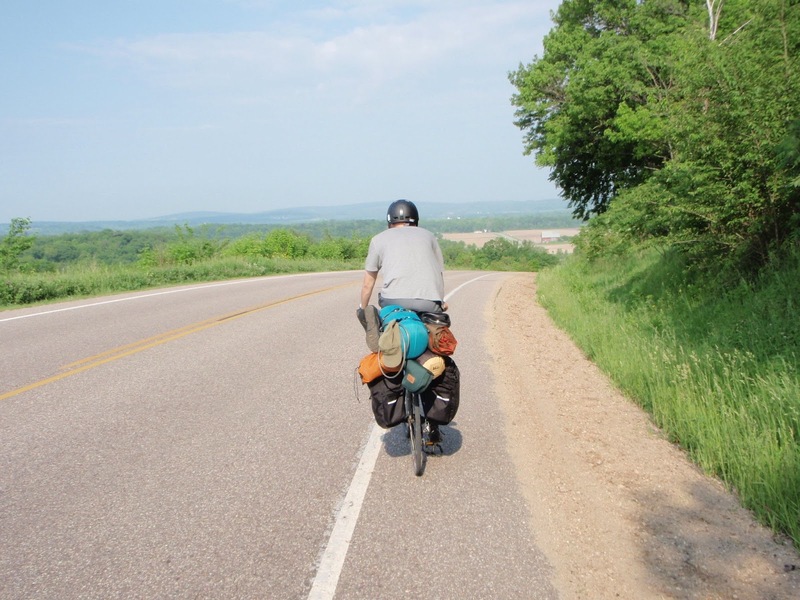 Ever since, Alyson and I have been enjoying bike camping, including a trip from Madison to Minnesota. From now until the snow falls, we will be biking out of Madison into greater Wisconsin. 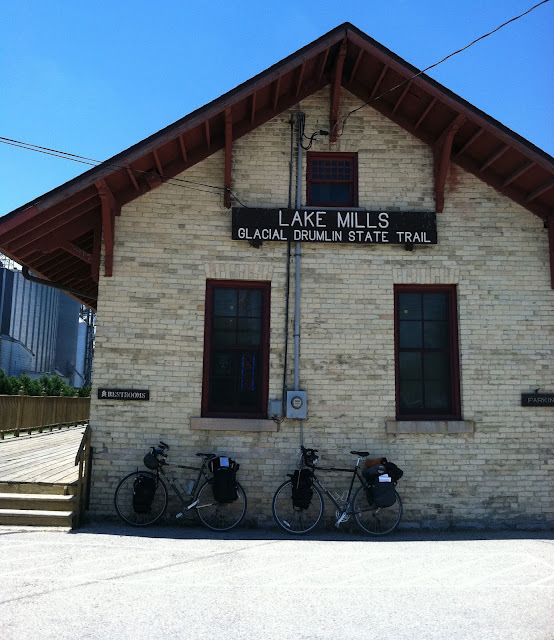 Bike touring and camping are great ways to explore Wisconsin's hinterland and visit Madison's fellow cities and villages where the train once stopped.